In a short post a while back Glenn Beck, a baptized and practicing member of the Church of Jesus Christ of Latter-day Saints (the Mormons), responded to Focus on the Family (FotF) pulling their promotion piece for his supposedly Christian book. As you can see e.g. in Focus on the Family Promotes Mormonism, that particular post was taken down by FotF after some Christian ministries complained that FotF was promoting Mormonism by running it. However, no one is arguing against “Christmas as a time for redemption and atonement.”; that understood, at the same time, the proper meanings of the words “redemption and atonement” are inextricably wound together with the “beliefs” of one’s “religion.” So that’s why the Rodney King, “Can’t we all just get along” sentiment expressed by Glenn Beck, as sincere as his appeal is, concerning “the concept of religious tolerance [being] too important to be sacrificed” has such a hollow ring to it. Beck’s statement, “it is my hope that all of those who believe in a loving and peaceful God would stand together on the universal message of hope and forgiveness, ” sound very heartfelt and noble. However, the truth remains. The Bible knows nothing of any “universal message of hope and forgiveness,” because all of those outside of a personal relationship with the one true and living God—as in the, singular and only, one which exists—found only in Jesus Christ of Nazareth, are lost. This is where Beck’s eternal soul, as well as that of all those in the non-Christian cult of Mormonism, remains—right now—in perilous danger. Glenn Beck is obviously an intelligent man so he should know that “those who believe” in a god who doesn’t exist, no matter how “loving and peaceful” they imagine him to be, are essentially worshipping a phantom. And worse, God the Holy Spirit says that their devotion and worship is actually something they offer to demons and not to God (see—1 Corinthians 10:20). AM has a post called Will the Real Jesus Please Stand Up?, which via a take-off of the old TV program To Tell the Truth, that introduces you to a few of the many Jesuses running around the contemporary landscape today. What I did in that article was take the benefit of my 22+ years of studying Comparative Religion and then distill the basic teachings of certain groups concerning Jesus so as to have their “Jesus” give you a synopsis of who he is according to that particular religion. I am the Jesus Christ of the Church of Jesus Christ of Latter-day Saints (the Mormons). My original Church went through a total apostasy and I took the Priesthood from the earth. In 1820 by one account—as there are nine different accounts—I appeared with Heavenly Father to Joseph Smith who would be the prophet to restore my Church. I told him that everything the historic Christian Church had taught was an abomination in my sight and that all who believe in those doctrines are corrupt. I am the spirit child who was born first to Heavenly Father, whose name is Elohim, and who has a body of flesh and bones as tangible as man’s. Elohim was once a man who lived on the planet Kolob. He died and was resurrected by his father—after earning his way to godhood—as did his father before him and on back. Heavenly Father pro-created all of us through sexual relations with one of his celestial wives and we are all his spirit children. I was born first; next was Lucifer, and then on down the line comes you. When the head of the gods—of which there are countless numbers—called a council of the gods I came up with a better plan of salvation than my brother Lucifer did. So I became the Savior for Heavenly Father’s children on earth. I was conceived for my earthly mission when Heavenly Father came down and had sexual relations with his daughter the Virgin Mary. I am the Jesus of the historic, orthodox Christian Church, which I purchased with My Own blood. I Am the one true and eternal God incarnate—God the Son—second Person of the blessed and Holy Trinity. I am the very Creator of the entire universe and the only Savior of hopelessly lost mankind. There is never a time that I did not exist as I am the Lamb slain before the foundation of the world. And in the fullness of time I was born of the Virgin Mary and clothed with human flesh. Then while on My planet I lived the sinless life necessary of you to come and be in the Presence of God the Father. In My Father’s will and for His glory, I willingly sacrificed My perfect life for yours, and shed My blood on the Cross as an offering for the sins of all who will be regenerated by God the Holy Spirit; who believe in Me. Let me ask you; can those two claiming to be Jesus above truly be the same person? The answer is: No. Now they could both be false; but only one of them could actually be Christ Jesus of Nazareth. And since the Bible gives us eyewitness depositions aka Gospels from people who personally knew Jesus, the Apostles Matthew and John, we must conclude from the extant evidence the Mormon “Jesus” is not the real Jesus, but an impostor. Rather, it is most loving thing that we can possibly do. 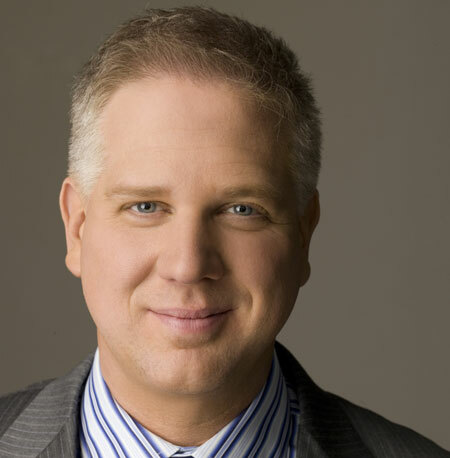 And Glenn Beck, please know that you are more than welcome to contact me anytime to discuss this matter further. Nothing would make me happier than to see you come to know the real Jesus; that said however, I would not be following God’s admonition to love you as I love myself if I was not willing to tell you the truth. May the Lord grant you repentance and forgiveness of sins in Jesus’ Name.